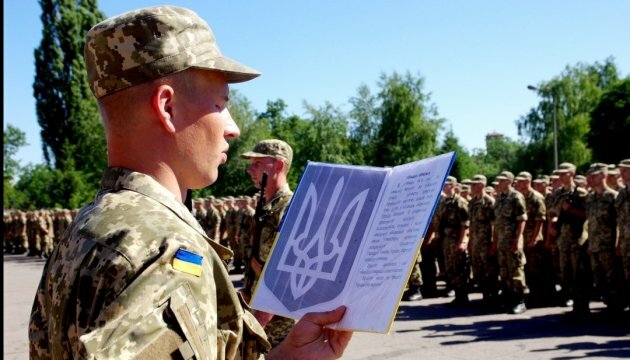 Ukrainian MPs have approved a draft bill 4689 "On Amendments to the Law of Ukraine" On Military Service" relating to the right of the military who had signed contracts before the end of a particular period to renegotiate their contracts for a shorter period, Ukrinform has reported. One of the authors of the law has noted the volunteers who went to the front during the first wave of mobilization, had concluded contracts with the Armed Forces period "until the end of a special period" and cannot currently be demobilized as their colleagues who signed contracts later which stipulate a defined timeframe of military service. According to the lawmaker’s data, the number of these servicemen today amounts to about 20,000 people.